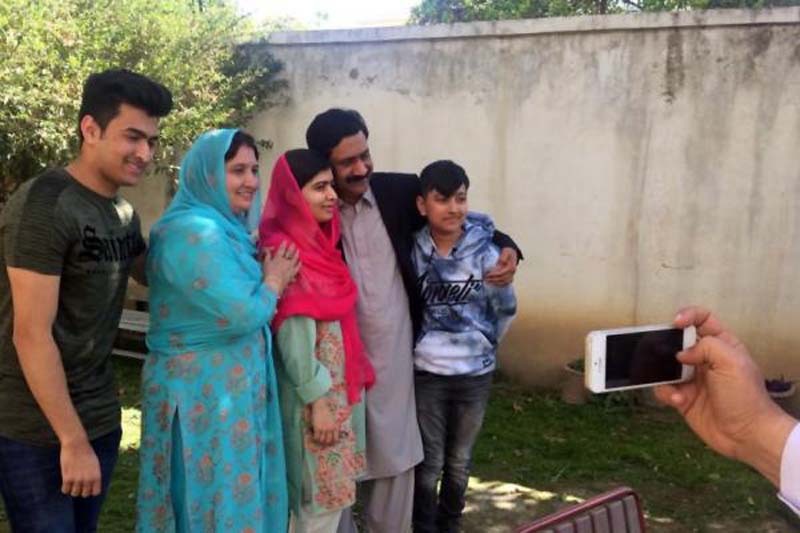 Nobel Peace Prize winner Malala Yousafzai was happy to return to her hometown, Mingora, Pakistan, Saturday, her first time back since a Taliban attack in 2012. Yousafzai, 20, visited her old school and home in Mingora, located in the Swat valley area of Pakistan. [post_ads]"My first visit to Swat valley after 5 and half years since the attack. I have felt so happy. I am proud of my land and culture, Yousafzai wrote in the school's guestbook, CNN reported. Yousafzai became the youngest person to receive the Nobel Prize at age 17 in 2014 for her work to advocate for girls' right to education. The last time she was home she suffered a bullet wound to her head from a Taliban gunman. Yousafzai still faces some critics of her advocacy work for girls' education in Pakistan. "Those who do criticize have an absurd kind of criticism that doesn't make any sense," she said in an interview published Saturday in Pakistan's English-language newspaper, The News. On Saturday, she tweeted: "So much joy seeing my family home, visiting friends and putting my feet on this soil again." Her visit back to Pakistan started Thursday when she flew into the capital, Islamabad, accompanied by security and met with family and the Pakistani Prime Minister Shahid Khaqan Abbasi. Yousafzai will return Monday to Britain, where she is a student at Oxford University.